American Sikh PAC is a state-registered political action committee. Our goal is to encourage Sikhs to take an active role in the public and civic affairs of California. Click here to contribute via PayPal. Please share this email with your friends and family. It is important that we join together to create an effective political voice. 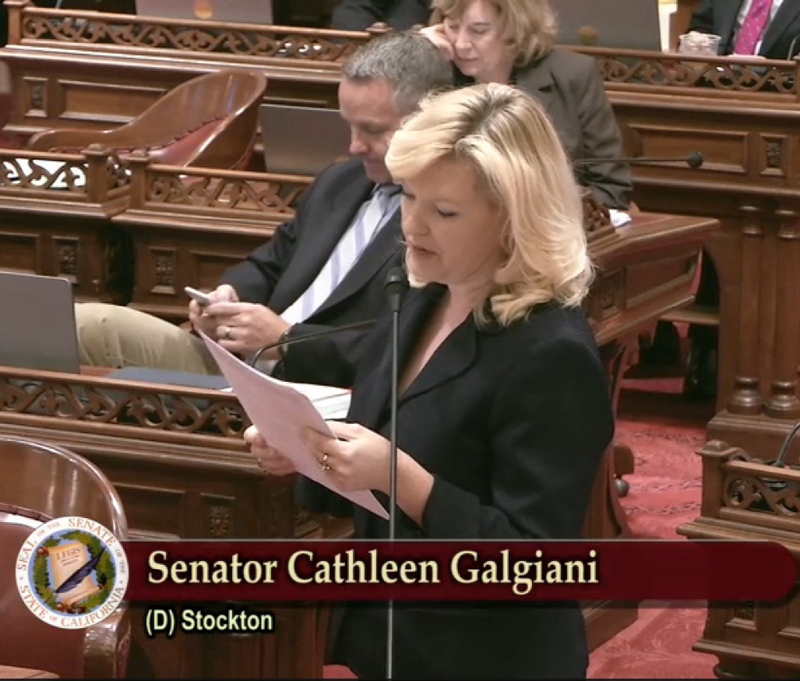 Senator Cathleen Galgiani (Stockton-Turlock) submitted the resolution (ACR 34) in the Senate, saying, "Over 3,000 Sikhs were killed throughout India. Government and law enforcement officials organized, participated in and failed to intervene to prevent the killings of innocent Sikhs. Individuals and organizations throughout the world, recognizing the need for justice, continue to demand prosecution of those responsible. It is important to remember these human rights violations to ensure that they are not repeated." Senator Pan (Sacramento-Elk Grove-Lodi) also supported the resolution, saying "This is a shameful chapter in history. We need to stand up against it. We need to be sure that they are remembered." Senator Neilsen spoke fondly of the Sikh community in Yuba City and said, "Savage and brutal violence was visited upon Sikhs throughout India. It is very important for us to acknowledge this tragedy." American Sikh Political Action Committee (PAC) wrote and sponsored the resolution as a means to honor the victims and those that stood with Sikhs during that difficult time. The PAC has been increasingly active in California politics through fundraising, education and legislative campaigns. Representing the official position of the citizens of California, the resolution remembers the victims of the genocide and those that fought against it, “Many Sikh lives were saved from the massacre by compassionate Indians of all religious backgrounds who put their own lives at risk by providing shelter to their Sikh friends and neighbors.” The Senate welcomed Sikhs from across Northern California, including representation from Sikh Temples in Stockton, Yuba City, Roseville, Sacramento, Tracy, Turlock, Fremont and many others. Mikey Singh Hothi, District Director for Assemblymember Cooper, was instrumental in ensuring that all legislative obstacles were quickly overcome and that ACR 34 received a full and open hearing. 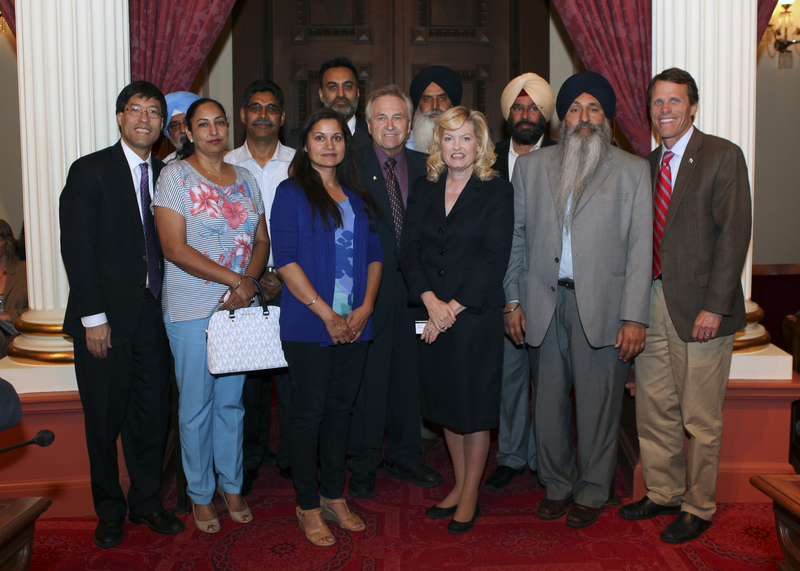 The American Punjabi Chamber of Commerce, led by Bhajan Bhinder and Mike Boparai, assisted in lobbying assemblymembers, as did Ruby Singh Dhaliwal, Mayor of San Joaquin, and Aman Singh Gahoonia of Rocklin. The full text of the resolution, along with relevant links, is provided at www.americansikhpac.us. For further information contact Amar Shergill at americansikhpac@gmail.com. American Sikh PAC is a state-registered political action committee. The organization encourages Sikhs to take an active role in the public and civic affairs of California. www.facebook.com/AmericanSikhPAC. For more information or to get involved, contact americansikhpac@gmail.com. Copyright © 2015 American Sikh PAC, All rights reserved. American Sikh PAC is registered with the California Secretary of State, Identification Number 1347741. Contributions or gifts to the committee are not tax deductible. Contributions may be made by credit card, PayPal or via regular mail to American Sikh PAC c/o Shergill Law Firm, 2150 River Plaza Drive, Suite 295, Sacramento, CA 95833. Include a Political Contribution Information Sheet with your contribution.